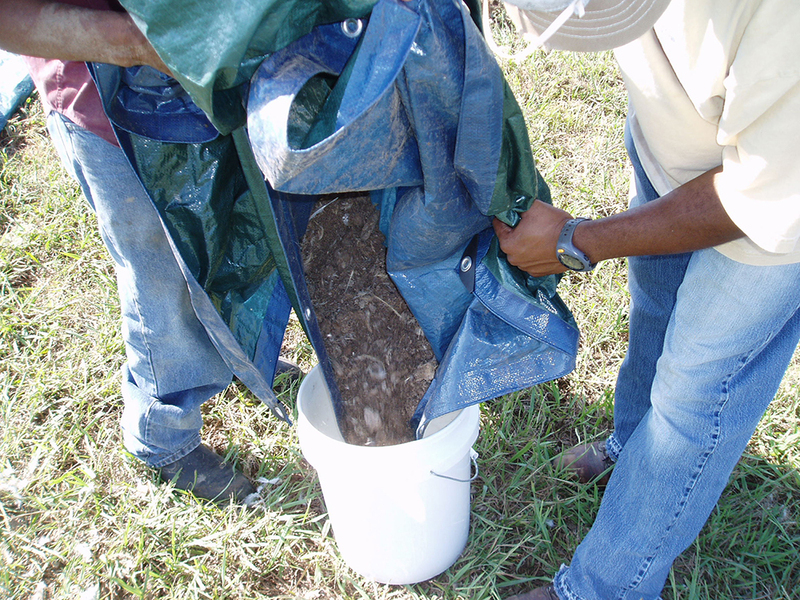 Proper nutrient management is a vital part of all agricultural enterprises, especially for those using any form of manure nutrients.  Better understanding of the threats to our water, soil, and environment, and improved nutrient management practices and techniques have enhanced our ability to develop nutrient management plans that enable producers to maximize use of manure nutrients and minimize potential risks to the environment. Cost of commercial fertilizers continues to increase, making use of animal manures an important economic decision for many producers. However, proper use of nutrients from animal manures is also important from the standpoint of preserving our water, soil, and environment. Application of nutrients beyond crop needs not only increases the potential for nutrient loss from fields, it is also a waste of valuable fertilizer nutrients that could be used on another field on the farm or sold to generate revenue. Calibrating litter spreaders (knowing the rate of litter application under specific conditions) is important to ensure proper nutrient management and maximize the economic potential of manure nutrients. 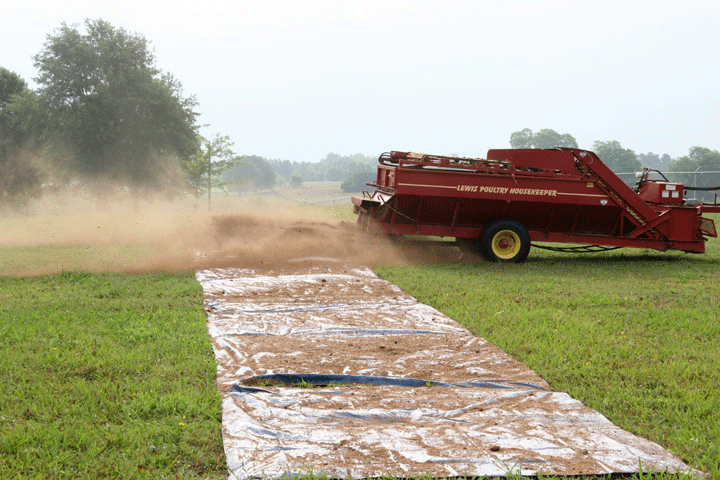 Manure and litter spreaders are typically calibrated using the same techniques designed for calibrating commercial fertilizer spreaders. Precision calibration for commercial fertilizer spreaders is critical for obvious reasons. 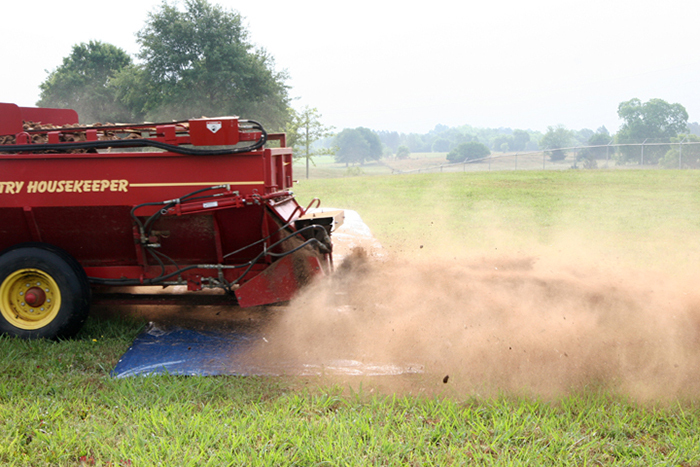 However, calibrating litter and manure spreaders can be difficult because of differences in material density, handling and flow characteristics, and particle size, especially when spreading cake-out litter that may have larger chunks and increased moisture compared to total-cleanout litter. One of the most widely used and recommended methods of litter spreader calibration is referred to as the “tarp method.” The procedure outlined below is a modified version of the tarp method that works well for poultry litter spreader calibration. One person can easily perform spreader calibration in only a few minutes. Step 1. Place the six tarps in a row on a flat area in the field. Place weights or pin the corners and the centers of the tarps where they meet. Do not allow the tarps to overlap as you are placing them. Step 2. 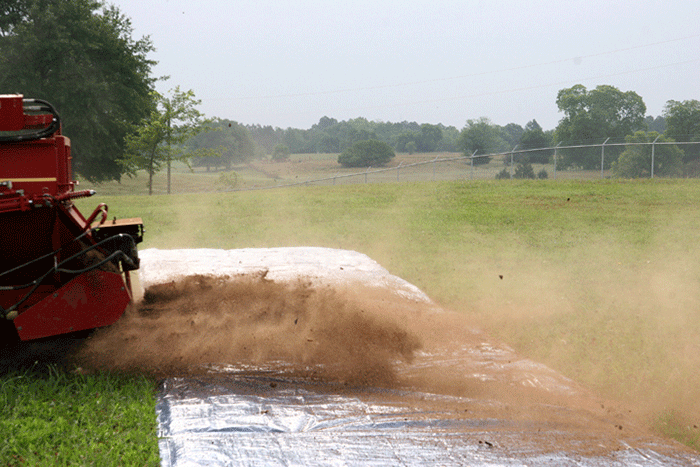 Drive your spreader or decaking machine over the center of your row of tarps (where the third and fourth tarps meet). Engage the spreader or decaking machine several yards before driving over the tarps to make sure you will have a normal throw pattern when you cross the tarps. Use the operating pattern that you would normally use in the field and record gear selection, engine RPMs, spreader gate opening, spreader hydraulic flow control setting, and any other information that could affect the rate of litter application. Step 3. 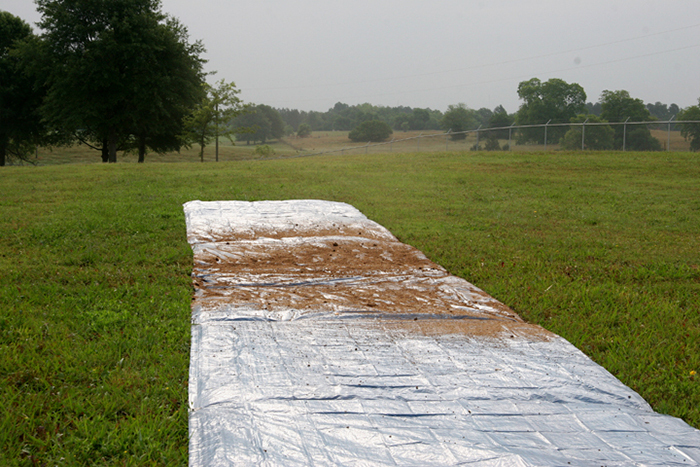 Assess the spread pattern of litter over the tarps. Estimate the width of the area of heaviest application and the width of lesser application on the edges of the spread pattern. Use this information to estimate the distance needed between spreader passes to get a uniform application over all the tarps. On future passes, overlap the thin edges of the spread pattern, but do not overlap the areas of heaviest application. There are drastically different spread patterns and rates of application between various types of litter and litter application equipment. For example, cake-out litter spread with a decaking machine yields a completely different pattern and application rate than litter from a total house cleanout spread with a spreader truck. Calibrate with the specific equipment and the particular type litter you will actually be working with. Step 4. Make a pass on each side of the first pass at the appropriate distance estimated in Step 3. If you have estimated the distance correctly, you should get an even application of litter across all areas between the centerline of the second and third pass. Step 5. Collect the litter deposited on each of the four middle tarps individually. You can pour the litter into the bucket (pictured above), or simply fold up the tarp with the litter inside, and place the tarp and litter in the bucket. If you do this, be sure to weigh and record the weight of the bucket and tarp together before spreading litter on the tarps. The four middle tarps represent what the average application rate would be in the field when you consider overlapping passes. 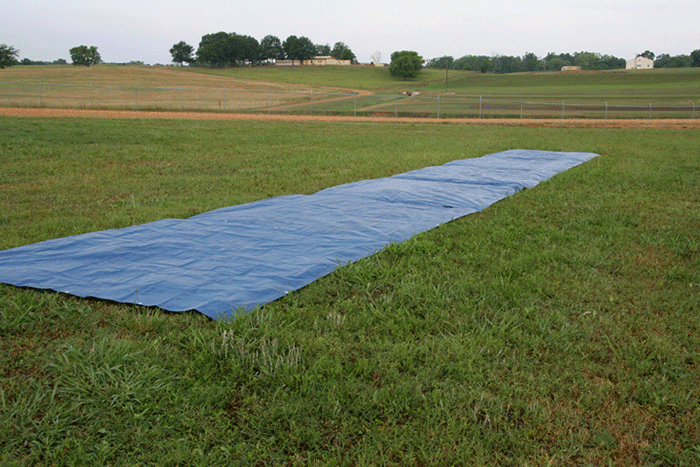 The outer two tarps are for helping to evaluate spread pattern width, particularly for caked litter, which is often wider than the middle four tarps. Step 6. Weigh the bucket and litter (or bucket, tarp, and litter). Record the empty weight of the bucket before collecting the litter on the tarp. Subtract the weight of the empty bucket to calculate the weight of the litter material applied. Do this for each of the four middle tarps. 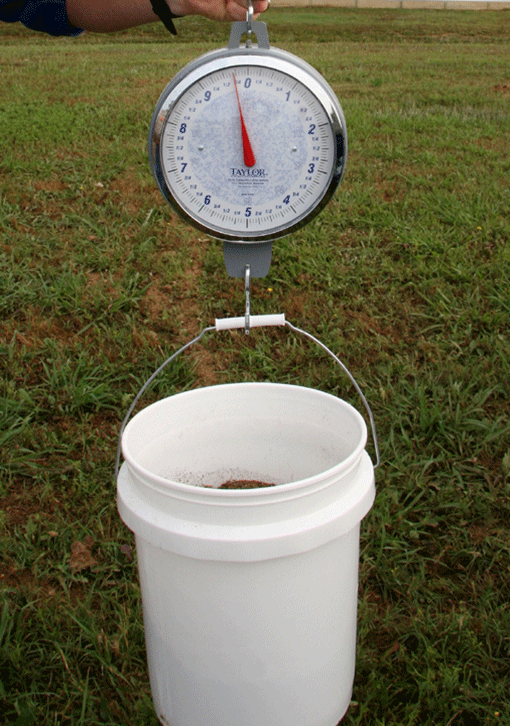 For example, the bucket and the litter in the picture weigh 9.75 pounds, and the empty bucket weighs 1.75 pounds. So the litter applied to the tarp weighs 8 pounds. For example, 8 pounds of litter multiplied by 21.78 and divided by 80 (our tarps in this example were 8 feet by 10 feet) equals an application rate of 2.18 tons of litter per acre (21.78 is a constant previously determined). Step 8. Repeat the procedure several times to get a reliable average. If the rate of application is higher or lower than the desired rate based on nutrient management planning, then make equipment adjustments (RPMs, flow controls, gate opening level) and/or drive the equipment faster or slower. This procedure is relatively inexpensive. An 8-by-10-foot tarp currently retails for $7 to $15, depending on the quality. Any reliable scale you may have will work, or you can purchase a dial scale similar to the one in the example for less than $50. Most people have plastic buckets on the farm, and most have a simple calculator or have a calculator feature on their cell phone. In addition, materials can be used over and over for future calibrations should equipment, litter type, or desired rate of application change. Collins, E. R., J. C. Baker, L. E. Carr, H. L. Brodie, and J. H. Martin, Jr. 1999. Chapter 7: Application Equipment. In Poultry Waste Management Handbook. 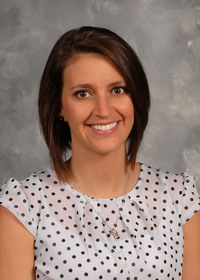 Natural Resource, Agriculture, and Engineering Service (NRAES), Ithaca, New York. 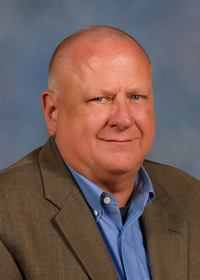 Revised by Tom Tabler, PhD, Extension Professor, Poultry Science, from a previous edition by Craig D. Coufal, former Assistant Extension Professor, Poultry Science, and Herb Willcutt, former Extension Professor, Agricultural and Biological Engineering.